TLC is the latest network that’s looking to snag ratings with a show about young Amish and Mennonite people who leave their communities to explore life out of the fold. “Breaking Amish” follows four Amish men and women and one Mennonite woman as they go give life a try — in the Big Apple! TLC has ordered nine one-hour episodes. 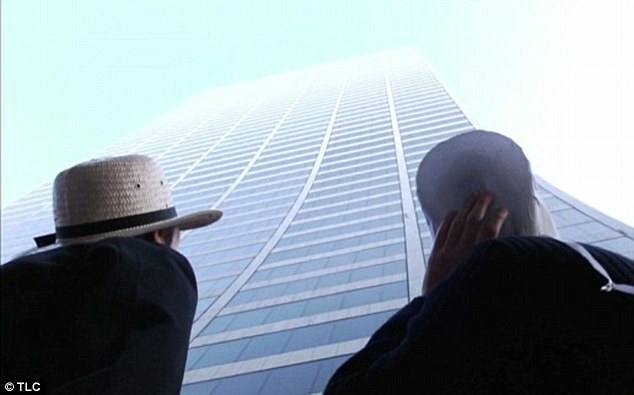 In one clip, the Amish and Mennonite youths are seen marveling at the skyscrapers, buying clothing made in underdeveloped countries, interacting with pedestrians and shacking up in an expensive hotel paid for by, well, probably not them. TV critics — who had been through this with UPN’s “Amish in the City,” National Geographic Channel’s “Amish: Out of Order” and so on — were not impressed. “We wanted to have a real authentic look,” exec producer Shannon Evangelista said as she and Eric Evangelista described how they hired two producers — one Amish and one Mennonite — to recruite their band of 20-somethings to take to New York for the show, which they purport to call a documentary. “It’s 100 percent accurate,” Eric Evangelista said of the series, which is produced, appropriately, under the Hot Snakes Media banner. “They really give you their all, they open up,” Shannon Evangelista added. "Breaking Amish" offers an unprecedented look into a rarely seen world, following four Amish people and one Mennonite as they forgo horses and buggies for New York City's taxis and subways. The nine-hour series will unfold as an unforgettable roller coaster ride of firsts. Ultimately, they will make the biggest decision of their lives -- to remain Amish and Mennonite or become "English" -- and face the consequence of being shunned by those closest to them. Nothing against Amish people, but TLC is really scraping the bottom of the exploitation barrel now. Personally, I'd rather watch the Amish at home in their own world. I think that would be quite fascinating. It's a shame they don't allow themselves to be photographed. Yeah, I'd rather watch the other two shows mentioned in the article, but I hadn't heard of them until yesterday. Maybe they're online to watch somewhere? Channel 4 in the UK did a similiar show to this where they had a few Amish. They had a few come over and sample life for a few weeks. They lived with three different types of families. They also showed them in their homes. I enjoyed these programmes. So i may watch this one. I have some Amish erotica where you can see the woman's entire forearms, and the guy's beard only goes down to his neck. I can hardly type this just thinking about it. Bluebonnet, Fly_On_TheWall and MmeVertigina like this. They think being photographed takes a piece of their soul from them. Can I just tell you, I started laughing so hard at the Mennonite chick reading the "hate mail" that had her in tears. "Dear Sabrina, Is it true you are leaving the Mennonites? If so, we are greatly concerned for you, as that is as bad a witchcraft. We will pray for your soul." Man, and you thought LeAnn had it bad! I know. It's like culture shock watching that show. Other than shunning, their idea of mean is so different than ours. There's a very good documentary called Devil's Playground about rumspringa (the practice of letting Amish teens go live "out among the English" so they can decide if they want to commit fully to the lifestyle). It came out a few years back. It was very sad, because as oppressive as the Amish society can be in some respects, the kids who chose to live in the modern world were more likely to lapse into drinking/drugging because they didn't have the education or experience to live a non-Amish lifestyle. It may fall under the category of 'reality television', but there is apparently very little that's authentic about Breaking Amish. After just two episodes, the TLC show has come under fire for deceiving viewers about the five Amish and Mennonite men and women it follows as they visit New York City for the first time. While each cast member claims to have grown up in the strict communities, evidence has surfaced suggesting they have decidedly dark pasts - involving divorce, children and time away from the faith. It comes in stark contrast to the naive characters portrayed on the show, who stare slack-jawed at Manhattan's towering buildings and pray as they travel by plane 'for the first time'. TLC has previously admitted that Kate, who is billed as an Amish bishop's daughter and aspiring model, has been arrested for a DUI, but now new information paints an even more rebellious picture. As revealed on a Facebook page, Breaking Amish the Truth, she has previously submitted images to modeling agencies - which is at odds with the Amish stance against photographs, believing they represent 'vanity' which they deem a sin. 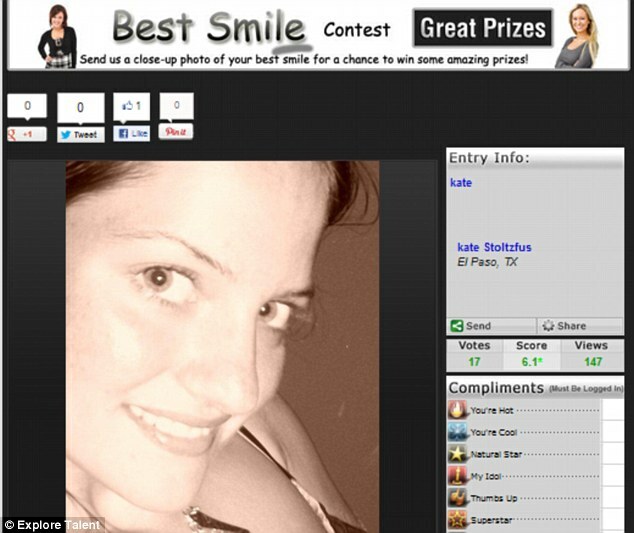 Online records show that Kate posted a photograph on exploretalent.com to enter a Best Smile contest in 2010 - years before she claimed she gave up her Amish life to move to the city. This internet savvy version of Kate is a far cry from an episode of Breaking Amish in which she is overwhelmed by new technology and struggles to work an elevator. Two other cast members, Rebecca and Abe, are portrayed as meeting for the first time on the show - with a possible love match on the cards. 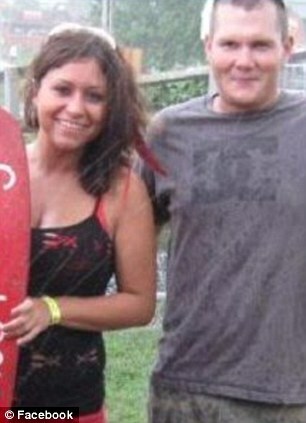 But a photograph apparently shows that the pair in fact already have a child together. And while Abe claims in the program that he has never partied, police records - and a mug shot - reveal he was arrested for alcohol intoxication in a public place in 2008, when he was just 18. 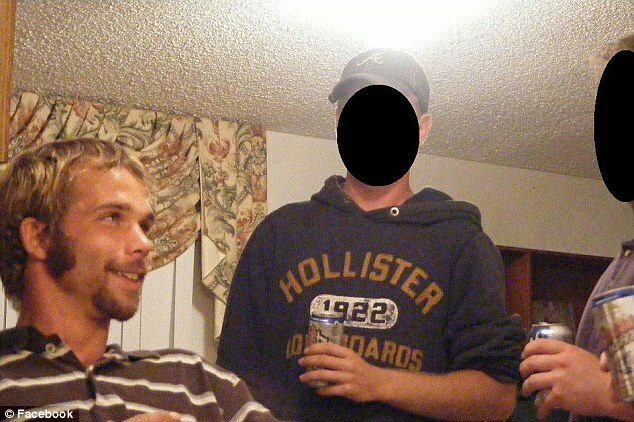 Jeremiah, another cast member, was reportedly away from his Amish community for up to 14 years and is pictured on social networking sites surrounded by beer cans. Public records also reveal that 32-year-old Jeremiah, who regularly swears on the show, is divorced and has three children - two daughters, aged seven and three, and a son, five. The children live with their mother in Ohio. 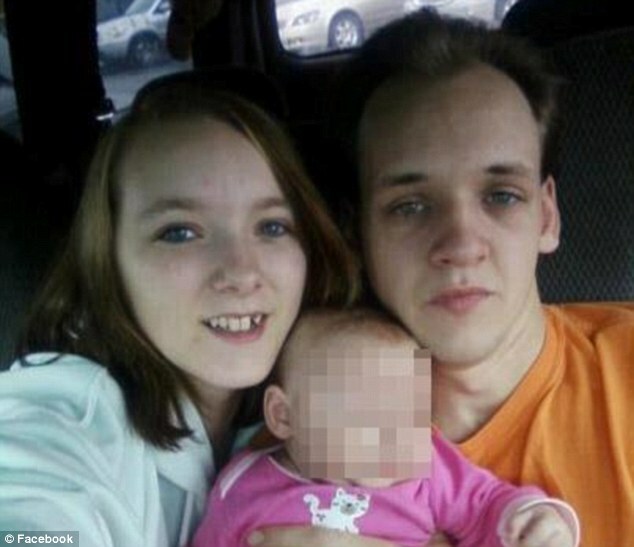 The couple married in 2005 and she filed for divorce in 2011, citing gross neglect of duty and incompatibility. In the show, he is seen leaving his girlfriend for New York but it is rare for Amish people to divorce so Jeremiah would unlikely have been accepted back into the community and have started a new relationship. The final character, Sabrina, a 25-year-old from an Italian and Puerto Rico family who was adopted into the faith, is pictured on Facebook kissing a man while she wears skimpy clothing. She was reportedly married in 2009 and has not been a practicing Mennonite for years, friends claim, suggesting this is not the 'first time' she has left the community. The apparent betrayal by the creators of Breaking Amish is documented on a Facebook page, Breaking Amish the Truth, on which people who claim to know the cast have vented their anger. Scores of people have also uploaded photographs showing the cast in their 'real' lives. 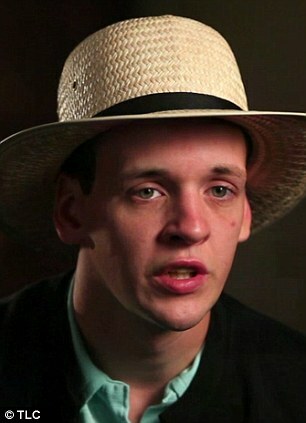 Mose Gingerich, a former Amish who appeared on a separate show, Amish in the City, lambasted the show for its dishonesty. 'This show is doing exactly opposite of what I stand for,' he wrote on his blog. 'The fakeness of these characters supposedly just leaving the community, when in fact, they have been out for many years. 'The fact that they act like things like microwaves and iPhones are something strange, when indeed, they have owned them for years themselves, and the disrespect they show towards the Amish. In response to the outrage, TLC has said it will address the revelations in time. 'There is a lot of information floating around about the group featured on Breaking Amish. Much of it is not true, but some of it is - and is addressed in upcoming episodes,' TLC told Variety. Despite these protestations, TLC has adjusted the description of the show on its website. It was previously billed as 'four Amish and one Mennonite, breaking away from their faith and traveling to New York City for the first time'. 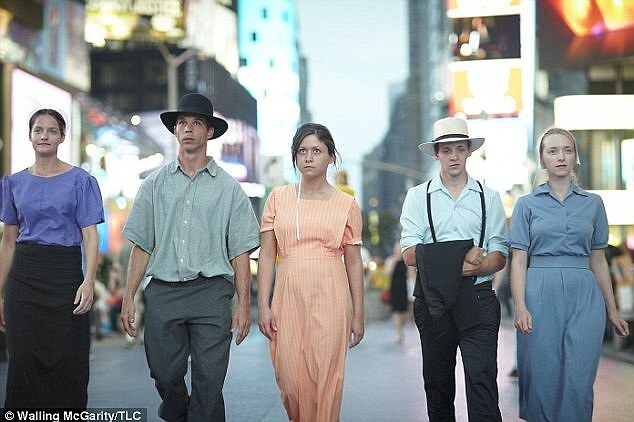 Now the TLC site explains: 'Breaking Amish offers an unprecedented look into a rarely seen world, following four Amish people and one Mennonite as they forgo horses and buggies for New York City's taxis and subways' - taking out any reference to 'first time' in New York City. Next you'll be telling me the Virgins on Virgin Diaries are really good kissers too! It's disappointing. I was all ready to get into this show. Yip, yip, yip in your tiny indignation. Bark furiously on, lady dog. So I guess now we know why Rebecca has dentures. Do you think she takes them out when giving Abe a blowie??? 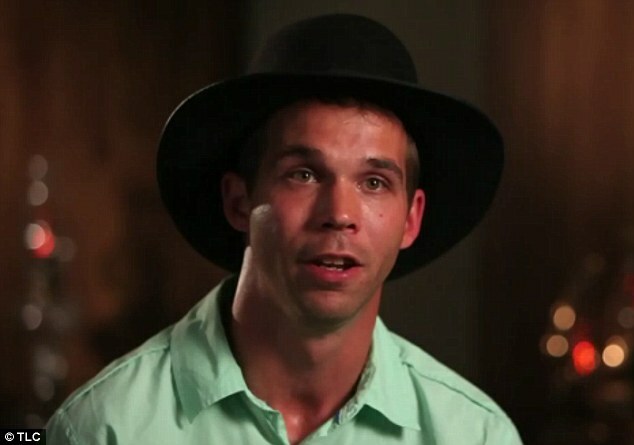 When Breaking Amish premiered on TLC last month, it was described by the network as an unscripted series about a group of Amish people "leaving their communities for the first time;" the cameras purportedly followed their first experiences with electricity, cell phones, indoor plumbing, and cars. But recent court documents, arrest records and Facebook profiles prove that not only had the cast members left the religion for the secular world years ago. Two of them—who claim on the show to have just met—actually have a child together. Furthermore, family members of the cast who are speaking out about how the show is fake claim that TLC is trying to buy their silence. The ex-Amish community has never been too keen on the show, taking issue with how the Amish are portrayed as close-minded, cruel, and sexist people from whom the cast members need to flee. Initially, they were speaking out in the comments section of the TLC-run Breaking Amish Facebook fan page, but after the controversy erupted, the page was deleted. Now two different Facebook pages are devoted to exposing the show's misleading content, while an ex-Amish blogger—who knows at least one of the show's stars in real life—has been dissecting evidence, both physical and circumstantial, that the show is a big lie. The first bombshell came when it was revealed that one cast member, Jeremiah Raber—who claims on the show that he needs to "find out" who he is by leaving his family's farm for the "first time"—left the Amish when he was 18. (He is now in his thirties.) For six years, Raber was married to fellow defector Naomi Stutzman, with whom he had three children. Stutzman filed for divorce last year on the grounds of "gross neglect of duty" and "extreme cruelty." 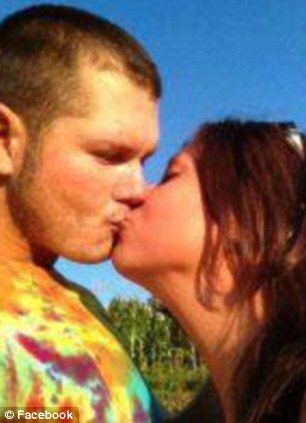 According to their court documents, she was granted a restraining order against Raber and lived in a shelter for victims of domestic violence after she left him. "I had to laugh when he claimed's never owned a cell phone. He's had one for as long as I've known him." She also says he loves Guns N'roses and Eminem, frequents strip clubs and "was always known as the guy with the coolest cars." In a recent off-camera interview with a local news station, Stutzman claimed that TLC tried to pay her to keep quiet about Raber's past. TLC has adamantly refuted the allegations that the network tried to buy Stutzman's silence. 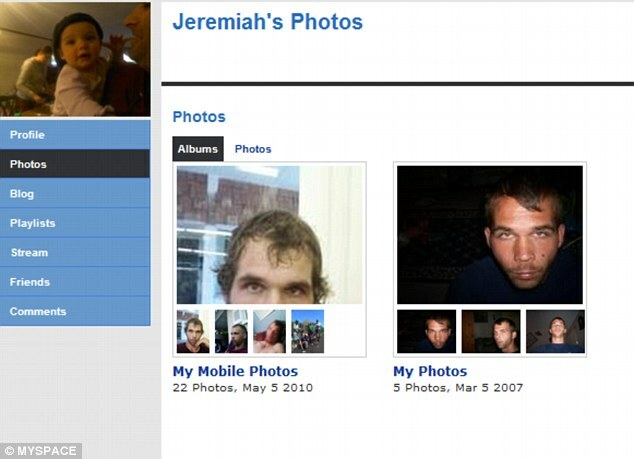 I know from personal experience with Jeremiah that he has driven plenty. He makes a grand show of being an inexperienced driver and even knocks over a traffic cone to complete the illusion. Jeremiah says that he has driven before but only on country roads. Lie! I know for a fact that Jeremiah has driven quite a bit in a city with a population of more than 50,000 people. While it might not have been NYC, it was definitely more than a country road. I know this fact because I saw it with my own eyes and I could find a dozen witnesses who would agree with me. He drove just fine then and that was about four or five years ago. I suspect that he got to that city by driving more than a thousand miles on the interstate highway system. As to Raber's history, a "source" close to the show told the Daily News that "as filming went on, it became clear that this cast member, and possibly another one, had misrepresented themselves." But it turns out that Raber isn't alone. All of the cast members are faking it for the cameras. Rebecca and Abe are two young cast members who, like Raber, claim to be interested in seeing what the rest of the world has to offer. They share a car ride to the airport and say they only know each other tangentially from belonging to the same church. In an interview, Abe says he's looking forward to "getting to know Rebecca" a little more. On a recent episode, they are shown going on their first date. It turns out that Abe and Rebecca had already been dating for a while, living among the "English," and have a child together. Abe's brother Andy—who is featured on the show as an Amish person living an Amish lifestyle—has a Facebook profile (which has since been made private) with plenty of pictures of all of them hanging out in streetwear. Additionally, Abe says on the show that he has never used a microwave, taken a shower, or "partied." Who knows about the microwave and showers, but he certainly was arrested four years ago in Kentucky for public intoxication. And then there's Sabrina—the only Mennonite featured on the show—who says that her family won't speak to her about her decision to go to New York. Sabrina was married in a secular ceremony in 2009; it's unknown if she's still married. And this is not her first time on reality TV: She participated in a documentary on NatGeo called Amish at the Altar. In reality, sources tell me that Kate hasn't been Amish for years. She has been driving a car, dressing non-Amish, and working in a Ruby Tuesdays in Lebanon, Pennsylvania. She's also an aspiring model. 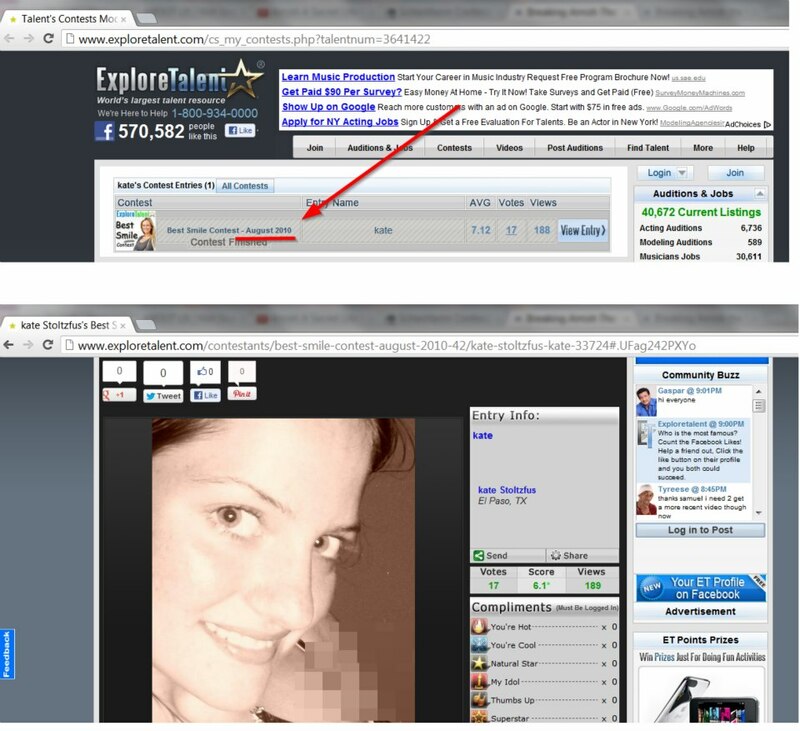 Within hours of her profile from an online modeling agency being posted on Breaking Amish Truth, it was taken down. It is still cached on Google, though. This is not a reality show as it's been advertised; the stars of Breaking Amish might as well be paid as actors. While elements "staging" or "contrivances" to amp up the drama on reality shows is par for the course, at least the people featured on most shows tend to be who they say they are. Sure, there have been instances of scandalous pasts or criminal histories of certain cast members who weren't properly vetted by producers. But every single person on Breaking Amish is pretending to be something they aren't. The entire concept of the show—people breaking away from their Amish communities for the first time to experience the outside world—is fraudulent. In a statement released by TLC, the network said, "There is a lot of information floating around about the group featured on Breaking Amish. Much of it is not true, but some of it is — and is addressed in upcoming episodes." Of course. 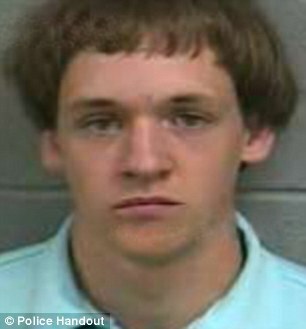 Amish talk forgiveness of school shooter.